Casa Angelina Lifestyle Hotel in Praiano, Italy is one of our favorite hotels for relaxing by the sea. They also serve one of the most memorable breakfasts from any of our trips to Italy. 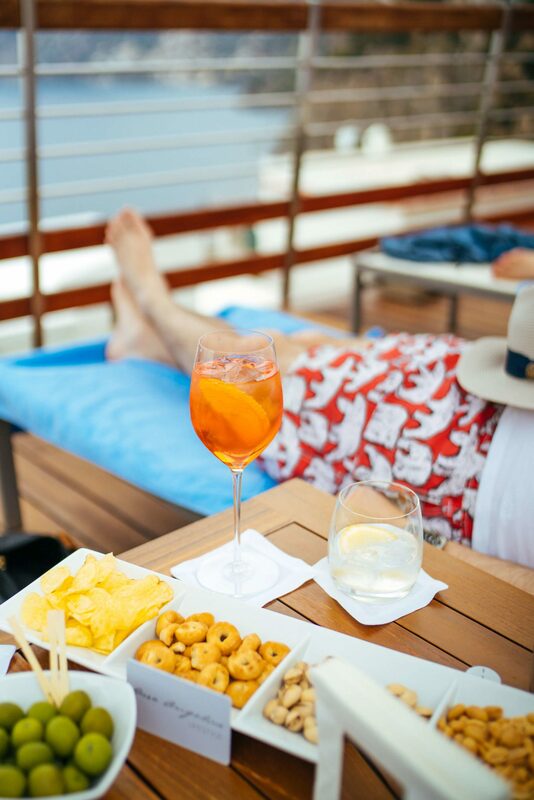 You can enjoy it on the outdoor terrace of Un Piano Nel Cielo, on the top floor of the hotel. The amazing spread includes a wide selection of sweet and savory dishes. This Frittata di Spaghetti was something that we remembered from our first visit a few years ago. My grandfather used to make a similar “spaghetti cake,” and this reminded me of it, so I was thrilled when Restaurant Manager Giusy Benvenuto and Chef Vincezo Vanacore were willing to share the recipe. 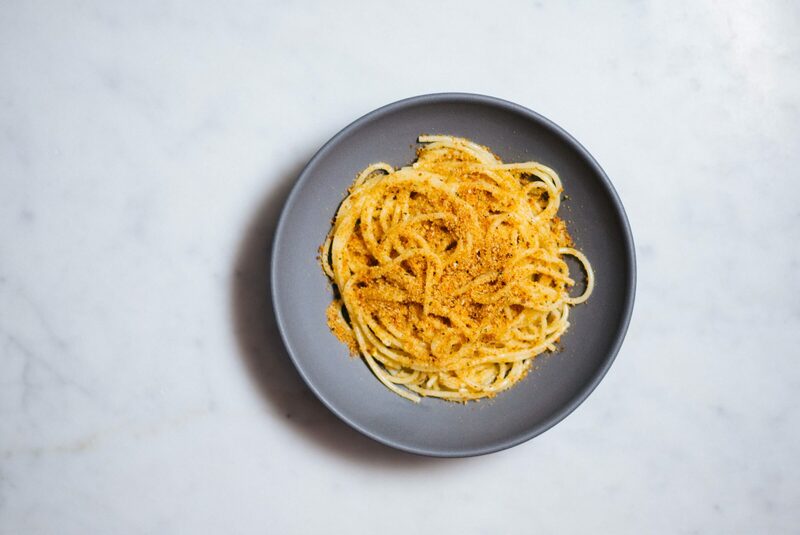 We prefer using bucatini, but you can use other types of pasta as well. We enjoyed it both hot or cold. This pasta frittata would be a perfect addition to your next brunch, or make it for breakfast all week! Cook the pasta al dente and drain (or use leftover pasta). Let the pasta cool until it's just cool enough to handle with your bare hands. In a large bowl, beat eggs with grated cheese, salt and pepper. Add the pasta to the egg and cheese mixture and mix through. Generously coat a large frying pan with oil. Heat the oil until it just starts to sizzle over medium heat. Layer half the pasta into the frying pan and top with the Prosciutto Cotto and Mozzarella. Layer the remaining pasta on top, cook until the bottom is golden brown. Depending on your pan and heat, this could take up to 15-20 minutes. Cover the pan with a lid and remove from the heat, drain the oil and flip the frittata onto the lid. Return the pan to the stove and slide the frittata back into the pan to finish cooking the other side. Cook just until the frittata easily releases, then slide out on a cutting board or serving platter. Serve warm or at room temperature. Tip: a large, nonstick skillet with a lid works best for this recipe. Prior to flipping the frittata out onto the lid, wipe the inside of the lid with a small amount of olive oil to prevent it from sticking. 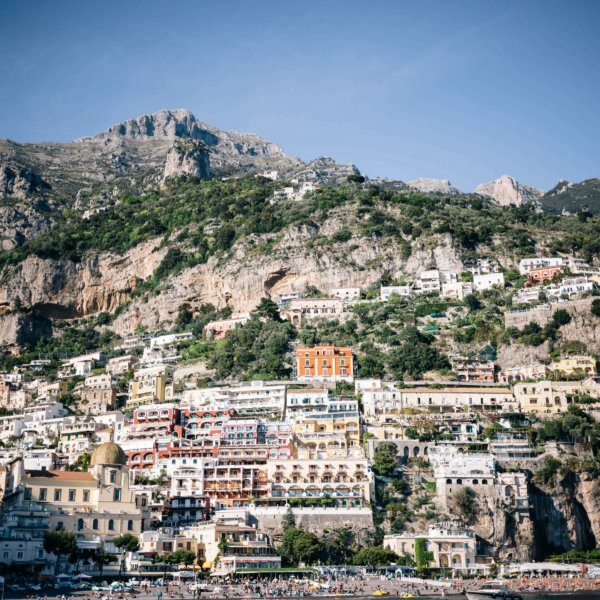 Don’t miss our 48-hour Guide to Praiano and Positano! Woah. This is total genius. And total deliciousness. My family is going to go crazy over this thing!! !